The mattress is dubbed as your bedroom’s most significant investment furniture. It pertains to a mat or pad that is placed on the bed while you are sleeping. However, choosing the right mattress for a better night’s sleep isn’t easy as it seems. These days, there are myriads types of mattress available in the market. There are tons of options to consider if you are planning to buy a new one. As a matter of fact, mattress construction technology recently come in a long way, producing unique materials. Factors such as sleeping position can affect as well which product might suit you best. For side sleepers out there, it is best recommended to buy memory foam for better comfort and support. Lots of people choose it since it conforms gradually into your body when you sleep. It has been documented that its materials were developed initially by NASA in 1970 as a reliever to pressure caused by gravitational force when the spaceship takeoff. Frequently, the actual memory foam in this bed only makes not more than one to three inches of foam close to the mattress’ sleeping surface. On the other hand, a more high-density conventional polyurethane foam is utilized as a support core below. In buying memory foam mattress, make sure that it uses state-of-the-art materials such as gel-infused manufactured from organic sources. What’s great about it? These mattresses can significantly help people who suffer from joint and back pain as it offers orthopedic support and adapts to each body’s curvature. On the other hand, innerspring mattresses consist of many coils and springs which have different strengths and thickness. The stronger the coils are, the firmer the innerspring will be. If you weren’t aware, the number of coils represents the support level your body will receive. It’s the best option for those who want that bouncy feeling. Usually. The metal coils are gauged from 12 (which is known to be the firmest and thickest) to 18 (known to be the most compressible and thinnest. If you’re quite heavy, choose for an innerspring mattress which has thicker gauge’s support. The individual pocketed coils in it are covered with sound fabric minimizes the so-called ripple effect which occurs once someone moves on the other side of the bed. Do you want a little buoyancy? If so, then latex mattress can be your best bet. When it comes to firmness, it is almost identical to memory foam mattress, except that it has more spring-back. As what the name suggest, it employs latex foam core. For your information, latex foam is breathable and extra-resilient. By that, it significantly helps in minimizing the heat build-up which is normally related to all-foam mattresses. More importantly, its construction enables it to respond immediately to your body to give the best comfort you deserve and promotes correct spinal alignment. Latex foam mattresses are typically suggested to asthmatic and allergic patients since they’re hypoallergenic. They can also keep dust particles away. Instead of an innerspring system, comfort material or foam core, a waterbed is fully loaded with water. It became popular during 1970. After several years, it turned to be a novelty item. In a nutshell, there are two major waterbed types namely soft-sided and hard-sided. When you say hard-sided models, it boasts a rectangular-shaped wood frame which rests on a particular plywood deck sitting on the platform. Meanwhile, soft-sided waterbeds seem to be a regular mattress. Usually, waterbeds are heated through a thermostat. Due to the fact that waterbeds conform to your body’s shape, they reduce pressure points as well as let the muscles rest. Furthermore, it can aid individuals with back problems to handle their pain. For those who are already bedridden, it lessens the risk of getting bedsores. Additionally, waterbeds can be cleaned easily. Be aware that it is not possible for dead skin and dirt to enter the mattress, reducing the presence of dust. The cover of waterbed mattress can be washed easily too. Thus, they can improve your overall sleeping environment. Most waterbeds are packed with dual-zone heating and customized comfort technologies. Did you just say that you’d like to experience the comforting feel from innerspring mattresses and at the same time, pressure relieving from memory foam? If that’s the case, hybrid mattresses can be your best buddy. This mattress types combine latex or memory foam along with an innerspring system to feel an unparalleled blend of contouring comfort and sturdy support. They often have the similar size coils just like with innerspring mattresses. Its coil system allows the mattress to preserve its bounciness which sleepers love the most on innerspring. Meanwhile, memory foam’s layers make that enveloping embrace. It provides hybrid mattresses a conventional mattress shape. Unlike memory foam mattresses, hybrid mattresses are more economical. It is made up of several pieces and parts, material blends, coils and air chambers. On the top of all these air chambers, coils and pumps, lies a pad specially tailored to different types of materials that are excellently quilted together. Experts recommend this type of mattress to position sleepers. In connection to that, you can choose whether you’ll get an air mattress with either one or even two air chamber. Good thing about this product is that it has an adjustable setting. You can set according to your preference at night. Are you worrying about sagging? Fret not because air mattress can be adjusted. The air within the air chambers regulates its temperature. Hence, warm-sleepers out there do not need to freak out for too much hotness. 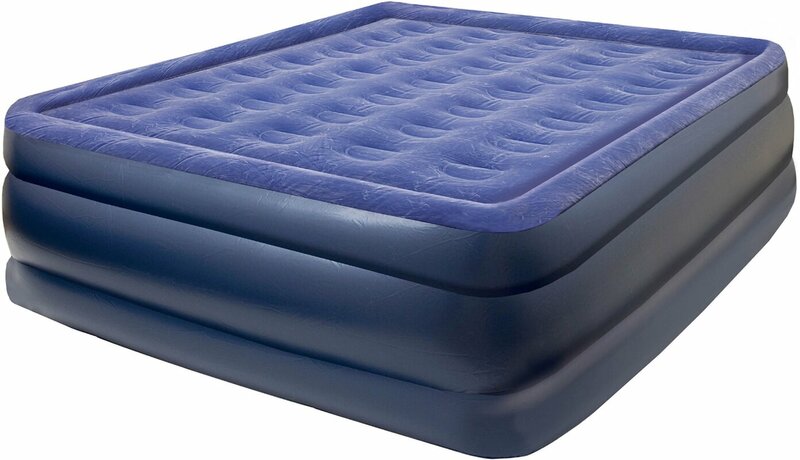 More often than not, gel mattresses added gel into the foam mattress within the upholstery layer or support system. Usually, it is quite different than the memory foam; thus, you don’t need to try it out just to determine which is better. Most gel mattresses disperse the body heat better. Therefore, if you don’t want how foam mattresses get your body heat, gel mattress is your way to go. If you prefer for mattresses which can elevate at any angle and bend, an adjustable base is an ideal option. It means that the mattress is flexible, providing support and relief every now and then. Whether you’d like to raise your feet or just lift your head, its base is so easy to adjust. When you are experiencing sleep apnea, it is not advisable to sleep flat as it can worsen your condition. It cut off airways and cause the tongue to fall back into your throat. Experts advise people who suffer from back or hip pain to use this mattress. Each one of us has a unique mattress needs. 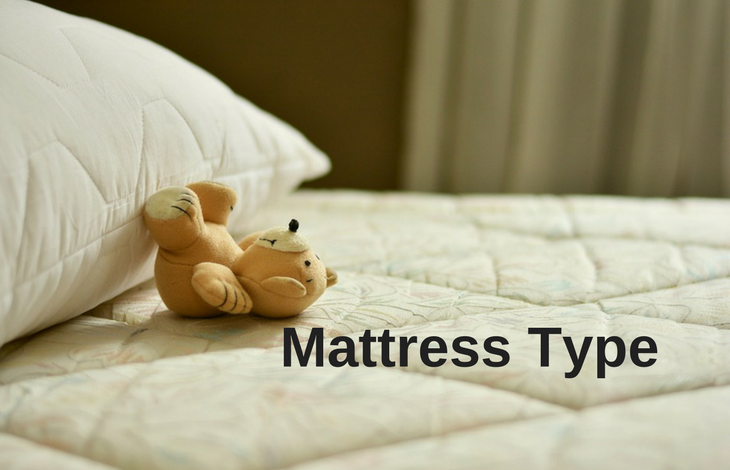 Thus, it is crucial that you know what types of mattress exist in the market so you can choose well. Do a little research. Which of these mattresses can provide a solution to your sleep-related health problem (if there’s any)? Is it durable and affordable? And lastly does the mattress feels comfortable to your body? By that, you can avoid an aching back for the rest of your lifetime.